My painting Bone Magic is currently in a group show at Eight and Sand Gallery in Seattle. It’s a little show, for little works of art. Take a look! 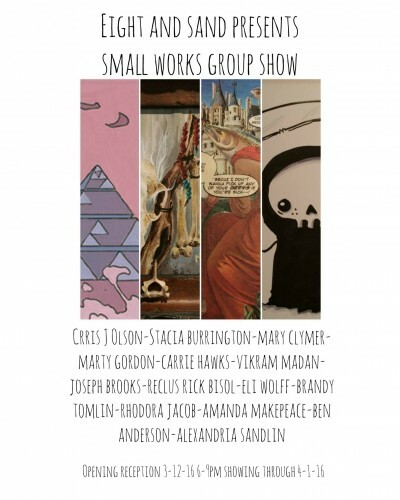 Petite Works Group show Eight and Sand Gallery in Georgetown Seattle. 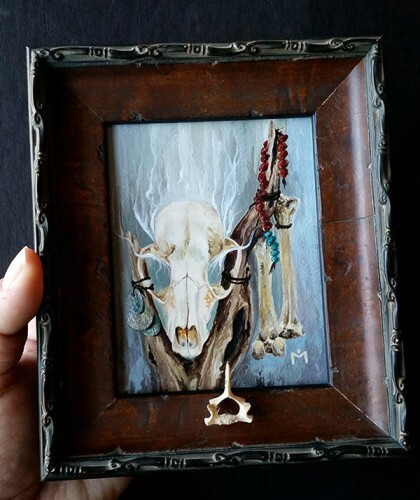 Bone Magic is a 4×5 acrylic painting on Arches Watercolor board. The painting has been sealed with a gloss varnish. I attached an actual vertebrae from my personal collection to the solid wood frame. The exhibit runs till April 1st.